I received a text from my good friend Daniel C White (TheMetroRedneck) this past Saturday morning with a picture of he and his 5 1/2 year old son Nolan after their morning Turkey Hunt. The words of the text read, “What it’s all about!” The minute I saw Daniel’s text God put, “As I held My Father’s Hand” on my mind to write. Like Daniel I am the father of young children. My sons, Caleb (will be 11 on April 24th), Josiah (5), Levi (4), Silas (2) all look at me for answers to life. They want to know what truth is, they want to hear stories of my childhood days of hunting and fishing, they want me to listen to their stories, and find common ground with them. They all long for a one-on-one relationship with dad that may be different from each other and with four boys that sometimes can become taxiing. They want me to be real with them. This is especially true for my oldest son, Caleb. They want me to use language they understand when I’m talking with them. They also want to do things together as a group of guys… just hangin’ with dad. It is in these moments that I trust God to work in their lives. When I think of holding my Father’s Hand I think not only of my responsibility as a father to be an example, love well, and lead well, but also to know who’s hand I am holding. That of my Heavenly Father. My prayer is that I hold onto my Heavenly Father’s hand well enough that as I hold the hand of my Father, my son’s can feel confident in holding mine. I recall a writing by Lynn H. Pryor (Editorial Project Leader for Living With Teenagers) who wrote on reaching students. In Lynn’s writing several things caught my attention that I submit are good insights for us to consider as we impact our children and the next generation of outdoorsmen who are watching our Hunting, Fishing, & Shooting Shows. The days of telling kids what they ought to believe and expecting it to just be so are few and far between. It might require that you approach the truth with new and creative methods. The Message never changes but the method will. I’m sure you’ve found this to be true… the older children become the more there is the tendency to argue; but it will be hard to argue about your life story. Share your story with them. What your life was like before and what your life is like now. This isn’t only true for teenagers. This is just as true for younger children. My son’s Josiah (5) and Levi (4) love to tell stories and they want to know that I’ve heard theirs before they want to hear mine. It’s the old adage, “we have to earn the right to be heard”. For us… it’s hunting, fishing, and shooting with the boys. They are most receptive to hearing from Stephanie and I, when we are outdoors. It’s the great equalizer. What and/or where is your common ground with your children? Relationship building knows no age limit. If you want to hear and be heard you must build a relationship. It has been my experience that this process re-addresses itself in different stages of our children’s growth… elementary, jr high, high school, college, young adult hood, and young parent. Each one of these stages requires us as parent’s to address how we hold their hands and how they hold ours. Be the you God created you to be. “If you’re not an adolescent, don’t try to act like one.” Our children, youth, and young adults need good, healthy, balanced adult relationships. They may not admit it, but they know they need it and are longing for it. Being yourself and leading well will go a long way in helping kids believe in you. Use words they will understand. I’ve found that in some situations I don’t communicate well with my boys due to my choice of words that don’t connect. For children and younger youth it is important that we communicate using words that don’t complicate the process of learning. site note: Levi (3) loves using words like “thunder chicken”, “swamp donkey”, and “freak nasty” … now where in the world would he have heard those words….. smiles…. Waddell would be proud. Even though they may not show it, children and teenagers want community. They love being with their friends. This is a great opportunity for you as a parent to model for them truth that they only believe, into something that they experience and lived out. Don’t under estimate the power of community. My standard line is, “It’s not as if this slipped up on God.” You can count on that my friend. God is at work in you… even when you don’t see it. He is at work in your children regardless of their age. Trust God to do something amazing in spite of you. 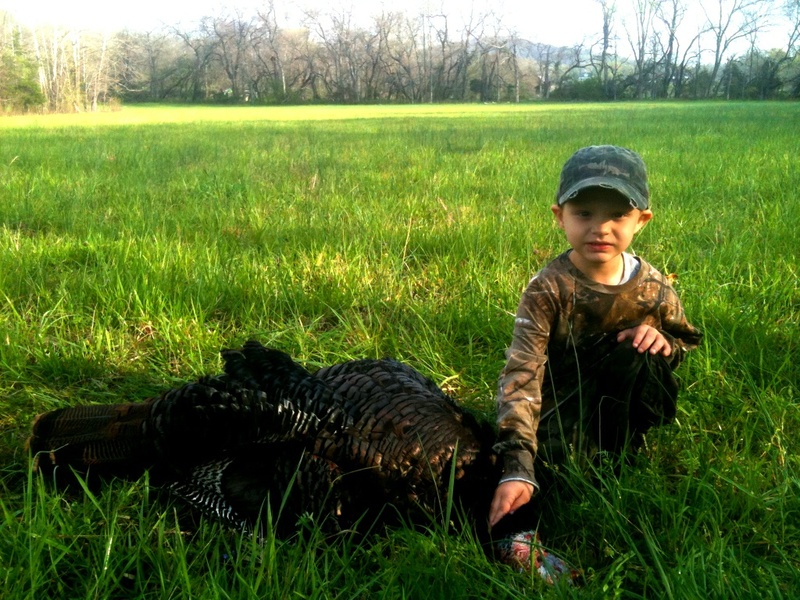 Now back to Daniel’s hunt with Nolan… Daniel did a little of all these by taking Nolan turkey hunting. I can’t wait to meet Nolan in person and have him tell me about how his dad took him turkey hunting, how they told stories, heard stories, how dad taught me to stalk and crawl, how dad talked with me, hung out with me, and the memories we made, “As I held My Father’s Hand”. There will be a day when Nolan will ask much deeper questions; about life, spirituality, girls, love, college, marriage, and children. And through these years of parenting Daniel will be prepared to handle those questions, because he has been holding The Father’s Hand. What does it mean to follow in my Father’s Footsteps? Interesting how this devotional came to be. As most of my devotionals come from things that God is doing in my life that I believe might help you in yours… this one came just that way. I happened to be on the phone with one of my college professors tonight, reconnecting after 20 years. His name might not mean anything to you, but it means quite a bit to me. He names is Dr. Michael S. Fountain Dr. Fountain was not only my professor, he was my landlord, a friend, mentor and hunting companion with several of us guys/gals who were working on our degree in Forestry at Stephen F. Austin State University in Nacogdoches, Texas back in the late 80’s and early 90’s. I recall an article that Dr. Fountain wrote entitled, ” Following in My Father’s Footsteps” . I highly recommend that you read this article. 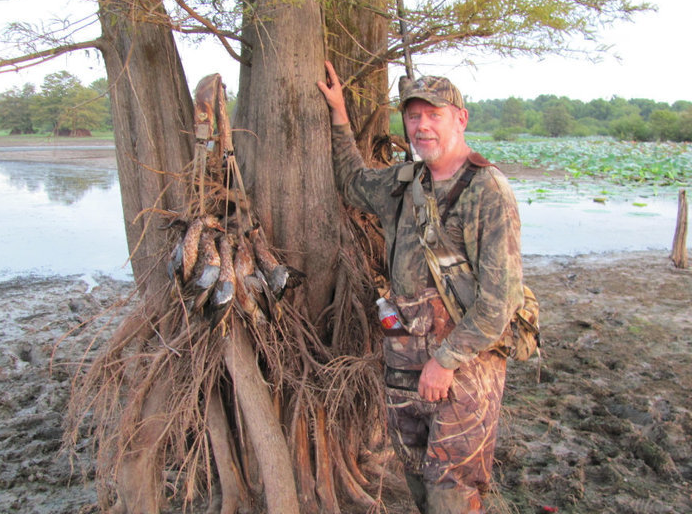 He speaks of not only his journey in the Outdoors, Forestry, and being a Professor at the leading College of Forestry in the Nation (my words, not his), but of following literally in his father’s footsteps. He speaks of a pilgrimage to the Beckwourth District of the Plumas National Forest in California in the summer 1974 because he missed trout fishing, but more than that it enabled him to work in the same forest his father had worked years before. It literally made me think of my biological father who I’ve had very limited contact with in 27 years. And when I say limited… I mean limited… less than 5 encounters in at least 20 of those 27 years and none in the past 13 years. In this Bible passage Jesus is speaking to two brothers, Peter & Andrew. Calling on them to follow in His footsteps and in so doing He would give them something far greater than their nets full of fish . Jesus was making an investment in sons, brothers, and a future legacy. If we were to ask your children, your nieces/nephews, or children that you are in and around on a daily basis about whether or not they would want to follow in your footsteps… what might they say? It is a great question for all of us as Outdoorsmen, Conservationist, Shooters, Hunters, Fisherman, Archers, Ecologist, … as just men and women. Are the steps we are taking in life ones that a younger generation want to walk in? Are we raising up the next generation to love what is true and right about God’s Creation? I hope you’ll not only find a nugget of truth that helps you become a better version of you, I hope you will also find a nugget to influence our future generation of Outdoorsmen. Please… as always, post a “comment” and let us hear from you about where you are on life’s journey.